Want to jazz up your Christmas Banquet, holiday event, or year end meeting this year? A quality team building activity can add some fun and enthusiasm to the meetings and support a charity in the process. 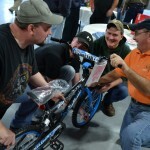 Build-A-Bike ® programs are still a fairly new invention, but these activities are growing in popularity by leaps and bounds every single year. These activities combine fun (and funny) exercises to build camaraderie to either build something or accumulate something that will later be donated to a charity on behalf of the sponsoring company or group. 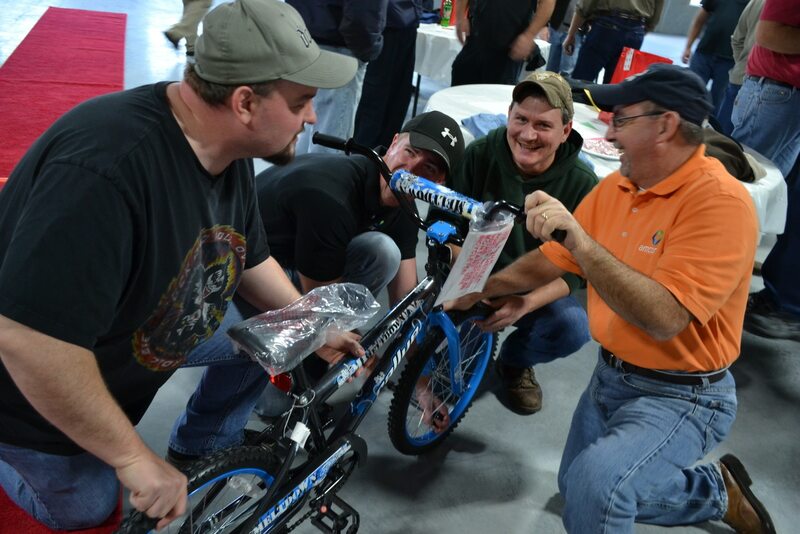 For example, the grandfather of all of the charity team building events is the world-famous Build-A-Bike® team building event where participants work together to accumulate pieces of bicycles to build brand-new bikes for underprivileged kids in the area. This event is still the most popular, with good reason, because it combines fun and energy with an emotional appeal of helping kids. The big ending for these events is when kids come rushing into the room, and each individual team gets to donate their individual bike to a single kid. This leaves every participant feeling that his/her contribution was important to the success of the activity. Lots of fun! Golf team building for a cause is the newest charity team building activity, and it is quickly becoming a popular choice because of the new economy that we are working in. This activity has participants accumulate non-perishable food items that are used strategically to design a custom golf-course for the group. Of course, once the course is dismantled, all of the food items are donated to a local food pantry. These food pantries are really struggling to keep up right now, because the number of families coming to them for food each week is increasing while donations are really low because of the economy. So they directors of these pantries are extremely grateful for these big donations (most often over 1000 lbs of food). Another good choice is to do a scavenger hunt where participants race to accumulate items that are used to create care packages for soldiers who are away from their families. Especially around Christmas time, these care packages are a welcome to soldiers who are stationed in foreign countries. For information about a charity team building event, call an event specialist at (800) 872-7830.